Generating new business leads and referrals can be time-consuming and lack results when you don’t have a strategy. We all build business strategies with goals, objectives, and a plan of execution and business leads should also have a strategy. It’s essential to be specific with your leads building strategy; especially if you’ve got a full plate of work and are limited on time. First, outline your goals for making new business connections. For example, a wealth manager’s goal could be to find more referral partners with clients who invest in commercial real estate. Make your goals specific to help identify the best professionals and business leads to target. Ask yourself, why do I need more professional connections? Second, list and segment the most relevant types of professionals and business referral partners. There are different ways to segment businesses, and you can start by ranking them based on the highest probability of success. For example, to reach commercial real estate investors, a prominent commercial real estate agent would hold the highest probability of getting referred to them. Ask yourself, who interacts with my desired clients the most? You should do your research on both the client and potential referral sources to ensure you’ve made the best selection of target professionals. After you’ve set specific goals and identified your target professionals, it’s time to assign the most effective communication methods to reach them. You know who you want to reach, now let’s figure out how to most effectively reach them. If you’re not familiar with the target’s industry, research factors of their communication and networking habits such as their work schedule and place of business. For example, a commercial real estate agent is most likely on the go and communicating primarily through their mobile phone or tablet. Also, they may not answer calls often since they’re mostly with clients on site visits. So the most prime outreach would be via email or text. If they’re a cold lead, an email is more professional, and if a connection gave you their cell, a text could be appropriate (ask the person providing the cell number first). Don’t just limit yourself to email and phone. Look at all opportunities for interaction such as online networking apps, industry events and conventions, city chamber meetings, business association groups, etc. As you take on a new market of professionals test your communication methods to find what works best. Ask yourself, how and when is the best time to connect with them? Determining how and when to network can be a struggle when you’re work schedule is packed with a multitude of projects and responsibilities. To help fit leads and referral building time into your busy schedule, make it a part of it regularly. In Shawn Achor’s book, The Happiness Advantage, he explains how to initiate impactful life habits with the “20-Second Rule”. To sum it up, just think about the very first basic action needed to start, don’t start running a large task list to complete it, just start. 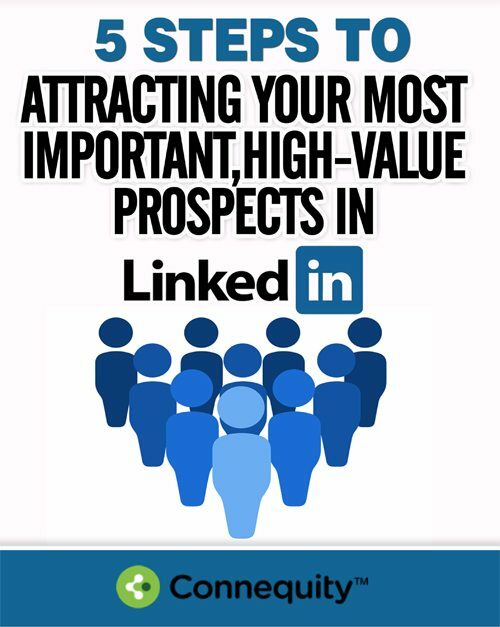 For example, it takes less than 20-seconds to sign into LinkedIn. You can start searching for professionals in less than 20-seconds. Set a time schedule for the overall task and make it easy to start. For example, set the LinkedIn page as your browser homepage – it takes less than 5-seconds to start your search; then you’ll set a 20-minute time limit every Tuesday and Thursday morning before opening your work email. Create a set schedule and initiate easy starts. Tell yourself, it only takes 20-seconds to start. Don’t forget to create a leads follow up schedule. Create a timeline schedule of when to re-engage with non-responsive professionals and use a CRM system to help organize it. A big part of successfully building leads and referrals in the long-run is tracking your results. Ask yourself, what was the ROI? Time, effort, money, will always be factors but you can make the most out of them when you keep a track of your results. Whether you do this through a CRM system or excel sheet, isolate key factors of your successful connections to recreate and implement them habitually in your business operations and lifestyle. 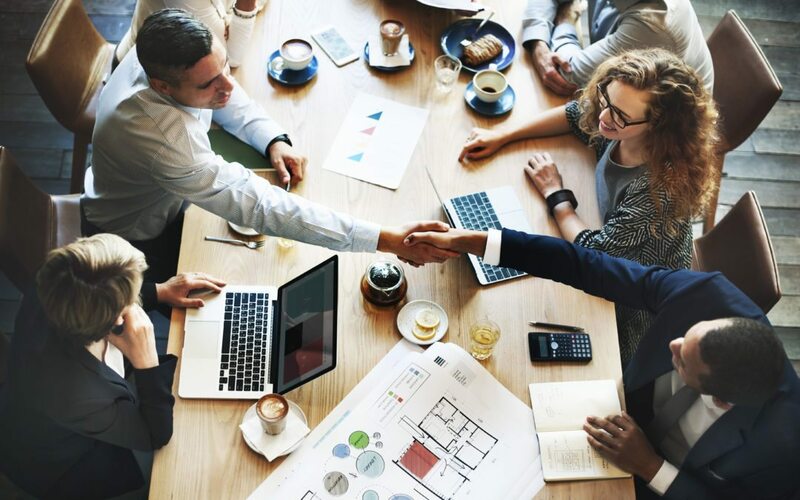 Try out these methods for your professional networking strategy and apply them in Connequity’s professional networking platform!